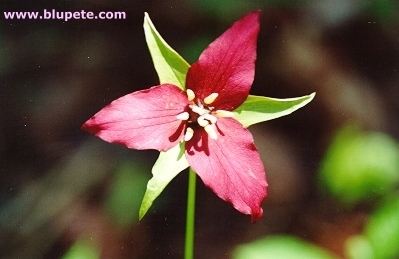 The purple trillium is "common along the hardwood slopes of the Annapolis Valley and east to Pictou County. It is not found west of Digby nor has it been seen east of Pictou County." In season, it can be found in considerable numbers along the trail to Cape Split.